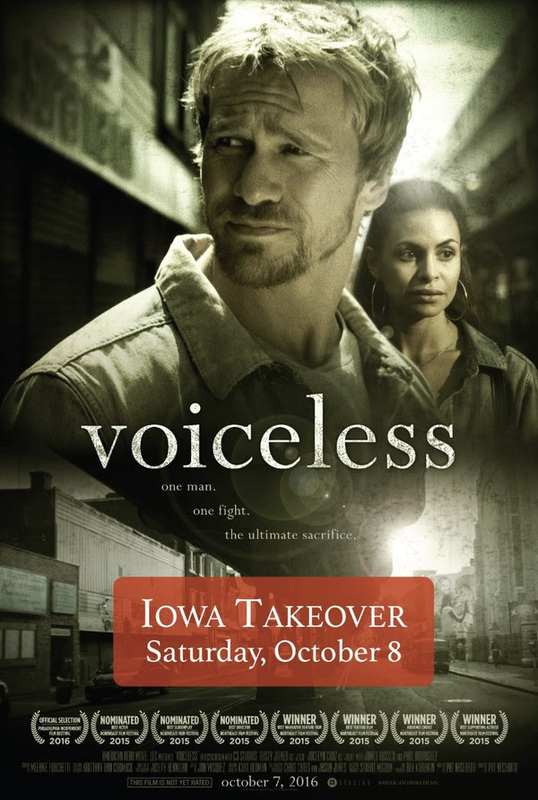 Voiceless, the Movie, premieres in Iowa City Oct. 8! Join over a dozen pro-life & pro-family organizations from all across Iowa as we bring this amazing message calling the church back to life! Bring your pastor, priest, church leadership, AND small group to this powerful movie event and private screening on October 8th at Sycamore Mall Theater in Iowa City! Get your block of tickets NOW! They will go very fast! ​Jesse Dean is a recently discharged soldier who had a rough upbringing, but because of his wife, found God and now is totally devoted to his faith.